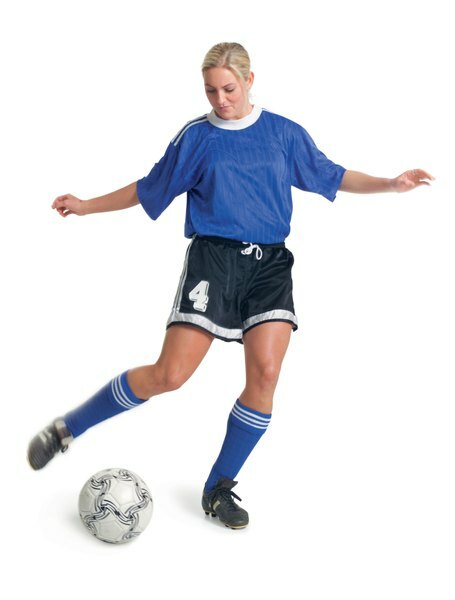 Practice using game-like exercises and drills to prepare for soccer tryouts. Since the advent of Title IX, which required colleges and universities to increase women’s sports scholarships to a level comparable to men’s, soccer has exploded as a sport for girls and women. To excel at the game, it’s best not to train the same way year-round and to build in an active rest phase to your training. Getting ready for tryouts means focusing on speed, agility, footwork, balance and recovery, rather than strength and endurance. Create a training schedule that includes exercise and specific work on your soccer skills. If you are completely out of shape and have no aerobic base, plan on at least three cardio sessions each week for at least three weeks. If you are in better shape, focus on high-intensity interval training, especially during the month leading up to your tryouts. Perform a warmup routine that includes several minutes of dynamic stretching. 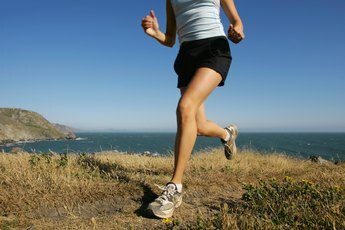 Jog in place, jump rope, perform quick lunges and jump squats and perform other movements at a moderate intensity that warm your muscles and elevate your heart rate. Do not stretch and hold your muscles in the stretch, as this desensitizes them and reduces your power and jumping ability for 15 minutes or longer. Perform aerobic workouts exercising at 60 percent to 70 percent of your maximum heart rate if you are just getting back into shape. Exercise at a speed that causes you to breathe harder, but lets you continue for approximately 30 minutes without stopping. 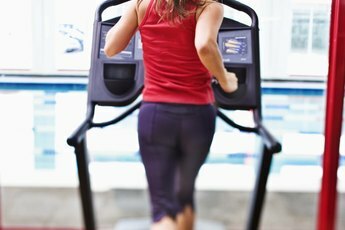 Use more than one type of exercise, such as working out on a stationary bike, elliptical, stair stepper, treadmill or performing other activities such as jumping rope, walking stairs or swimming. Exercise three times a week or more, if you have the time. Create plyometric exercises to improve your footwork and jumping abilities. Perform a variety of box jumping exercises, use a rope ladder, jump rope with different footwork, perform spider drills by running short distances in multiple directions or run an obstacle course with low hurdles. Add giant steps across the width of the field, dashes and shuffling your feet followed by sprinting. Work on your muscular endurance with a resistance circuit-training workout. Use about 50 percent of the maximum weight you can lift or resistance you can use and perform 15 to 25 repetitions of an exercise. Take a 30-second break and then start a new exercise. Continue this pattern for 10 minutes, take a two-minute break if necessary, then perform another 10-minute circuit, exercising this way for 20 to 30 minutes. Include exercises such as deadlifts, leg presses, squats, lunges, heel raises and walking stairs slowly, two at a time. Adjust your weight or resistance levels so that you are tired at the end of each exercise, but don’t need more than 30 seconds to recover. Include core and upper-body exercises on alternate days. Begin interval training three or more weeks before your tryout. Exercise using your legs at a very high-intensity for 30 seconds, then recover with 90 seconds of slower movements. 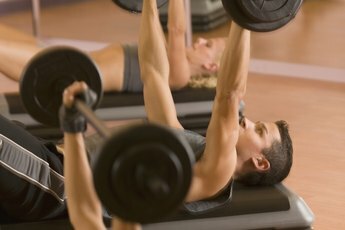 Use an exercise bike, elliptical, treadmill, dashes and sprints, a rope ladder and other methods of creating intervals. Perform interval routine for 10 to 15 minutes each workout if you’ve been cleared by your doctor to do this. Practice your dribbling, passing, shooting and sliding skills, starting with technique. Practice each skill slowly, working on your form and technique. Progress to practicing each skill in a game-like situation, at higher speeds, against a defender or using targets. Put yourself under point and target pressure by creating games, and practice each skill in game-like situations. Cool down after each workout by walking, then stretch your muscles to improve your flexibility. Stretch every day, even on days you don’t work out.